- Everyone Should Have A 'Preparedness Binder'! What’s the most important component of your preparedness preparation? Is it water, food, shelter, emergency medicine, defense? The correct answer is . . . none of the above. Yes, you need those essential life-supporting items, (and a don’t tread on me mindset) but if you ask me what the most important part of survival planning is I would say information. Some will disagree with me on this, but that’s OK. We all have our opinions, and that’s great. Just don’t let your beliefs nullify your good judgment and lessen your chance of survival. Information and individual survival skills are key to your survival, and both require a well-rounded and well-organized survival library. Having a good survival library is, in my opinion, just as important as having a well-stocked pantry. As they say, knowledge is power; when it comes to survival, you can’t have too much information or knowledge. But books are expensive, and building a survival library covering all the needed skills can run into hundreds or even thousands of dollars, which most of us don’t have. If you have an extra $2,000 to purchase books and other related research materials, buy all the books, periodicals, and videos you can. Unfortunately, most of us don’t have that kind of money. 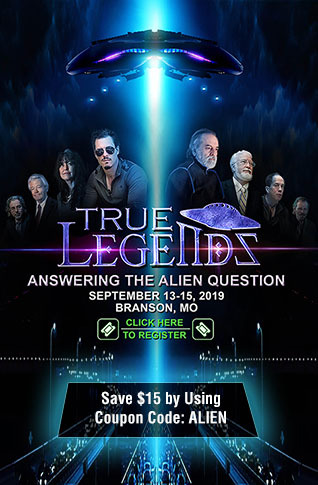 How are you supposed to build a survival library without taking out an extra mortgage on your home, selling your bodily fluids or parts, or pimping yourself out on the street corner? Well, you can buy used books, and one economical source for used books is online vendors, especially Amazon. This is not to denigrate yard sales, library sales, estate sales, or used bookstores, but survival and gun books are rarely found at “sales.” At Amazon, you can find anything, and the search takes seconds. Even buying used books may be more than your budget can afford these days, so I have a cheaper option for you: a survival binder or binders. Let’s get started . . .
WHAT IS A SURVIVAL BINDER? A survival binder is simply a book of collected information gathered from various sources both online and offline. You can use any type of binder you want, but I prefer the cheapest three-ring one I can find that is sturdy enough to be handled or transported. Most office supply stores carry 20-pound, 8.5 x 11-inch, three-hole-punched paper for use in this type of binder. If you can’t find the paper with the holes in stock, a three-hole paper punch works well. That’s what I use so I can add pages taken from magazines, newspapers, letters, or books to the binder, and not just items I have copied onto the punched paper. You might consider waterproof paper. There are a number of suppliers of various grades; simply Google “waterproof paper.” A poor man’s alternative is to haunt new house construction sites for scraps of Tyvec “house wrap.” It’s printable, waterproof, durable, punchable, and usually free in scraps, and it cuts with scissors. Of course, waterproof paper doesn’t do much good if the ink is not also waterproof. Some copy/printer inks are waterproof; some are not. So use the good stuff to print downloads you want to keep through hell and high water. For your own note-taking, the Sharpie waterproof marker is durable. Some ballpoint ink is waterproof; some is not. Waterbased inks often do not go on, and pencil usually rubs off. Another option is using clear plastic three-ring envelopes (the soft ones, not the stiff glassine ones). They come in all sorts of configurations, including ones with half-pockets for clippings and ones that zip-lock watertight. They also make a heavy-duty version as used in factories for holding work orders that is also oil resistant and comes three-ring punched. To make it easier to access information in your binders, you should label each with the subjects covered. If you don’t do this from the beginning, as your library grows you’ll have to spend a lot of time flipping through each binder to find the one with the information you need. I write the subject on a 1-inch-wide by 8 inch long strip of paper and tape it to the spine with clear 2-inch packaging tape encasing the label. If your writing isn’t legible, you can type the labels or use a label-maker (a good one runs about $12). Index tabs make retrieval quicker if you have individual “chapters” in your binders. 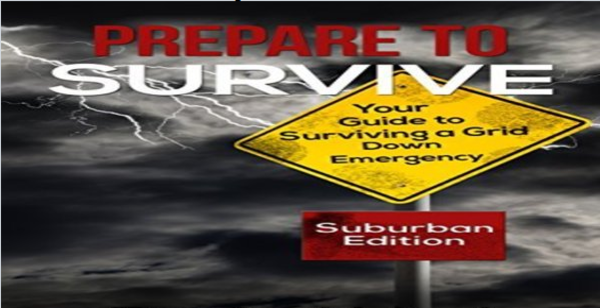 One of the great things about the survival binder system is that—unlike many survival books out there covering a broad range of subjects, with only one or two being relevant to you— your binder includes only those subjects that you need, saving you time, space, and money. Plus, the binders take less storage space and are more portable than books or video cases. 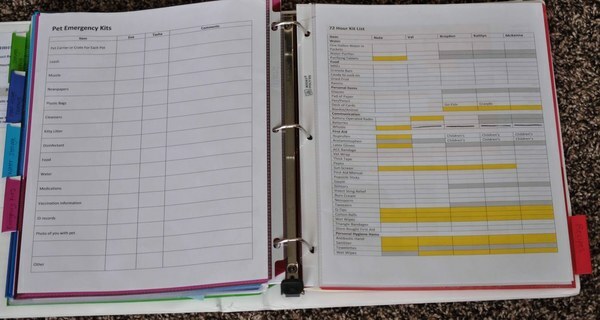 What you put in your survival binder will depend on several factors, including but not limited to your location, survival plans, and skill level. For example, if you retreat to an area where raising a garden isn’t feasible, then adding information on gardening wouldn’t make a lot of sense. Or if you live on the Cumberland Plateau of Tennessee, then you won’t have a binder devoted to desert survival skills. You get the idea. Don’t waste time or resources on things you won’t use. Now where to find reliable, printable information for free? (I love that word . . . FREE.) Well, blogs are one great source. For example, my blog (www.MDCreekmore.com – a good start is the article "How Long Does Canned Food Last") is a treasure trove of information on a wide variety of homesteading and survival topics from knowledgeable sources, and the articles are all free reading and printing for your personal survival binder. Where else can you find free material? A good place to start when looking for information on gardening, livestock, and homesteading is cooperative extension publications from the county, state, and federal agencies, such as the U.S. Department of Agriculture. Here is the URL for my state extension office. Your state will have a similar agency, as will most counties. Go online and Google “state extension office” or “county extension office.” Most of the publications are free or reasonably priced. The Federal Emergency Management Agency (FEMA) and the American Red Cross have a wealth of free information on emergency preparedness and survival on their respective sites ready to download and print. A great place to start your preparations is FEMA’s Are You Ready? which is available here. Your state’s department of natural resources web page is a terrific place to find advice on such topics as trapping, butchering game, hunting, vegetation, and other relevant topics. If you’re looking for military tactics, sites abound that allow you to download and print manuals detailing everything from outdoor survival and weapons training to demolitions. Another good link is http://publications.usa.gov/USAPubs. php. This federal government site provides a lot of publications for free or at minimal cost, although you may have to weed through a lot of garbage to find what you need. A quick and useful way to find printable information on any subject is to do a Google search for the topic with PDF (portable document format) added to the search term: for example, “raising tomatoes PDF.” PDF files are great because they are easy to print and put into your binder. If you want to be more selective about what you include in your binder, you can highlight the information of interest, cut and paste it to a Word file, and then print that out and add it to your binder. This way, you have only what you want. Bio: MD Creekmore has been interested in self-reliance topics for over 25 years and is the author of four books on the subject. 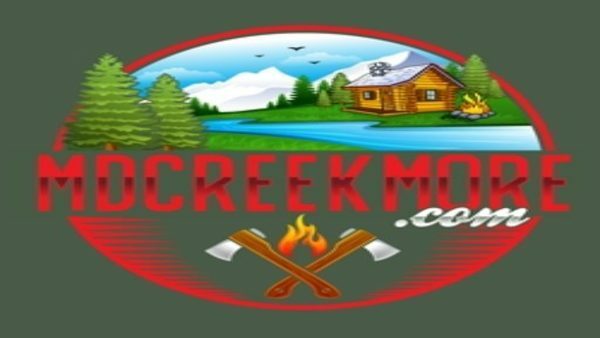 His blog (www.MDCreekmore.com) covers a wide range of topics from backyard homesteading, to prepping. He also has articles on topics such as this on Florida knife laws, and the best pocket knives for self-defense.